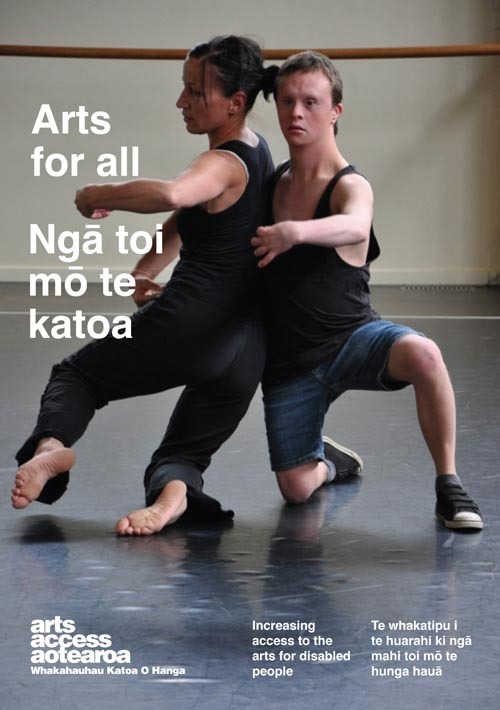 Thanks to support from the Ministry of Social Development’s Making A Difference Fund, Arts Access Aotearoa has begun a training programme for disabled people and people with lived experience of mental ill-health in Christchurch. The series of three workshops is designed to lift the knowledge and capacity for participants to advocate for the arts to be accessible and inclusive in their city. At the first workshop, the group-directed discussion has been around what advocacy means, who gets to do it and how. More than one participant agreed that disabled people being visible at arts events and cultural venues means they are advocating to be included. Being present and seen is an important way for disabled people to get the attention of venue, production and front-of-house staff so managers start planning for greater accessibility and inclusion. This is where person-to-person and group advocacy can play an effective role. Knowing you are part of a growing movement of people advocating for improved accessibility gives confidence to disabled people who want to participate in that change. The new arts advocates group in Christchurch builds on the establishment of a group in Auckland. Called Creative Deviants, the Auckland group of arts advocates has an ambitious agenda. It works with staff of leading arts, cultural and live performance venues to provide accessible communications and projects. Planners at arts venues, cultural institutions, events, festivals and exhibitions should all be aware of the latest findings in the New Zealand Disability Survey released by Statistics New Zealand in June. These show that one in four New Zealanders (24% or 1.1 million people) were identified as disabled in 2013. This is up from 20% in 2001. This is largely due to the ageing population – something we identified in our updated Arts For All publication. There is no one-size-fits-all method for being inclusive of disabled people in the arts. But there is a lot of choice. For example, audio described performances for blind audience members won’t benefit Deaf patrons. However, automatic doors, ramps and seating that you can get into and out of easily will benefit parents with children in prams as well as older people with physical impairment visiting galleries, museums and theatres. Arts Access Aotearoa’s Arts For All guide provides the steps that arts venues can follow to become more accessible. You can request a copy or download it from our website. 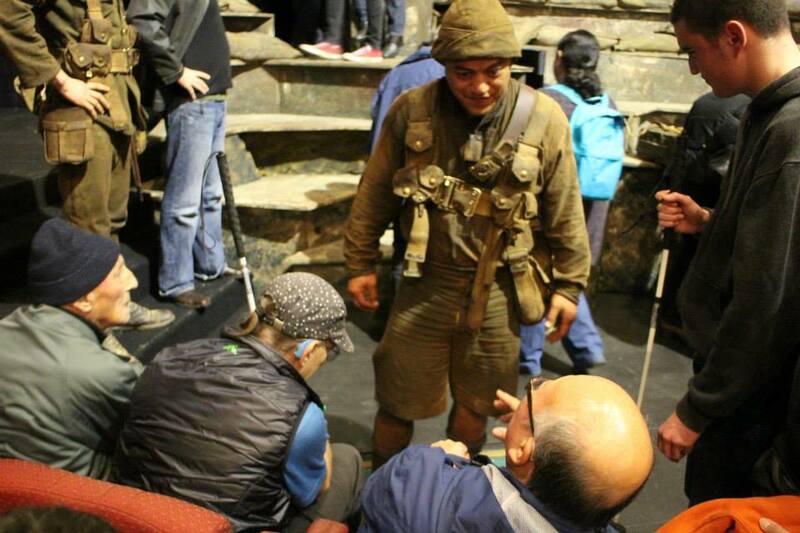 Auckland Theatre Company has taken a bold step in on its accessible journey and on 22 June it presented both a sign interpreted and audio described performance of Once on Chunuk Bair. It’s also a brave start to the company’s Accessible Theatre Programme because two types of interpretation of the one show requires double the effort. I saw the production, and its multiple layers of physicality, action and language were a giant task for the interpreters and the audience. But hey, Kiwis always punch above their weight, right? That certainly was the theme of this extraordinary play, written by Maurice Shadbolt, about our World War 1 heroes on Gallipoli. Auckland Theatre Company is on track to provide more plays that are accessible to blind and Deaf patrons, many of whom will not have been to a theatre production before. Many will return. Original generation time 1.7032 seconds. Cache Loaded in: 0.0342 seconds.